Leaders always seem to be searching for the magic solution that will transform an otherwise good team into a great team. Perhaps the answer is better collaboration, improved engagement, or more autonomy. While these are all great strategies for building a great team, there is one strategy that I believe is more effective than them all. It’s simple. Caring. 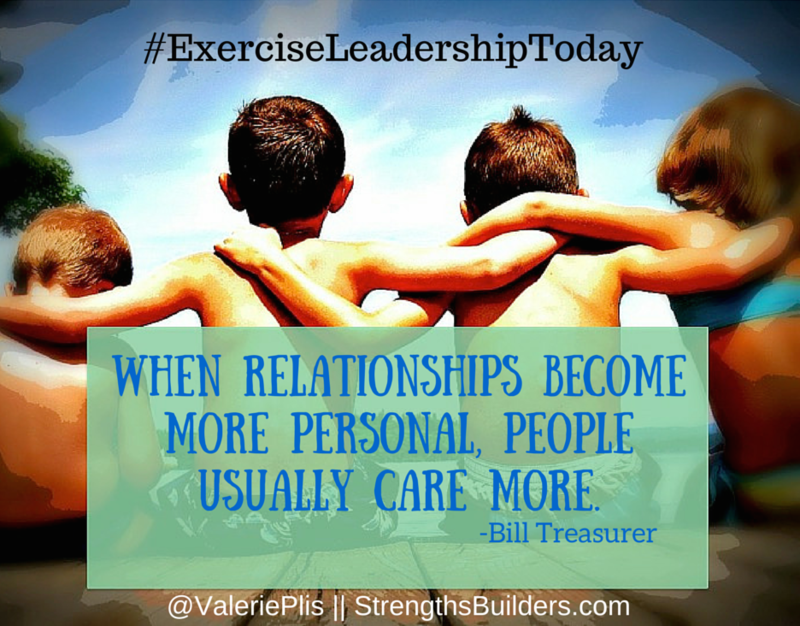 Unfortunately, showing how much you care doesn’t come easy for some leaders. For the cautious, analytical types, your personality may make it more difficult for you to openly show care and concern for others … particularly in the workplace. Many folks believe the way you treat your family and close friends should be different than the way you treat your coworkers. It’s as if you are expected to check your heart at the front door before walking into the office. What does caring look like? Let’s break it down because it may not be as “warm and fuzzy” as you might think. get to know the people you lead — What are their interests or hobbies? Get to know things about their family. How was their vacation last week? Do they have anything exciting coming up for the weekend? Get to know them beyond their role in your organization. leverage the strengths and expertise they bring to the team — Give them the chance to do what they do best and love to do as often as you can. Seek out and value their feedback and opinions. Show appreciation for their unique contributions to the team. Say “thank you” more often. find ways to do small things that show them you care — Check in individually with the members of your team. How are they doing? What do they enjoy most about their work? What can you do to help them really succeed in their role? care, but never compromise — Just because you care about someone doesn’t mean you have to lower your expectations or compromise the quality or integrity of the team. When you are willing to have a difficult conversation with someone about subpar performance, you demonstrate that you care about him or her as a person. If you didn’t care, you’d say nothing, create a “ work around,” or complain behind closed doors to other people, which is truly a disservice to the person and the entire team. As long as people know you have a good heart, have good intentions, and you care about them as a person, they will let you push them, give them tough feedback, never compromise on high expectations, and will want to do more for the sake of the team. enormously demanding … but not care? easy going … but enormously caring? enormously demanding and enormously caring? Pete Luongo, author of 10 Truths About Leadership says the best leaders are both. They are enormously demanding and enormously caring. #ExerciseLeadeshipToday Challenge – What is a small step you can take to #ExerciseLeadershipToday?